It has been ten years since my feet first stepped onto this red dirt to call this place home. A decade. Something about that word makes it sound like a very long time. Sometimes, it feels like a very long time, but sometimes it feels like only a blink. Ten years ago I moved across the ocean with something that I thought was hope but in reality was more like a naïve optimism, a young but confident faith in who I thought Jesus to be then, and a wild spirit for adventure. I would like to say that if I could go back and do it all over again, I would do some things differently, I would make less mistakes, I would live more graciously, but in saying that I might discredit the grace of God who worked so tremendously in my naivety that only He could get any credit. And so today I sit and remember and giggle at a bold and inexperienced 18-year-old who thought she might change the world. I didn’t know it then, the truth that sinks deep into my bones now: It’s not our productiveness “for” God that counts, it is our worship, our time at His feet. It isn’t our public life, the accolades and the “well-done”s and the applause of the world that matters, it is our silent, continuous reach for Him in the places where no one is watching. It isn’t our “world changing” that makes any difference, it is the way we let Him change and shape our hearts to more reflect His. One of my favorite characters in the Bible is Mary of Bethany. By the world’s standards, she didn’t do much of anything extraordinary. She sat at Jesus’s feet while her sister ran around serving; she poured her life savings in perfume over Him while others looked on and called it a waste. But I think Mary knew this secret, the one the world doesn’t teach us, the one I didn’t know at eighteen, when my productive and radical life was going to make a difference – the only thing that matters is Him. Not what we do for Him, but that we know Him. 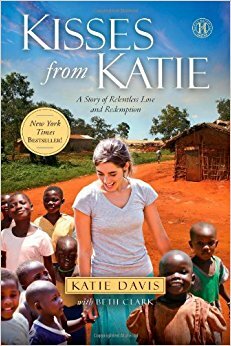 Ten years in Uganda, pretty much my entire adult life. I drive much better on the left side of the road than I do the right and I can’t parallel park in anything other than a 14-passenger van. I take my shoes off before entering a home regardless of whether the host cares, and I find the floor a more comfortable seat than furniture. This place has brought me my husband and my babies, my dearest friends, my best days and my worst days. This place has held my greatest trials and my biggest celebrations. This place has become home. But something so much more extraordinary has happened – I have found my home in Him. This decade has brought me, like Mary, to sit at His feet. In ten years of living and loving, of huge loss and great blessing, deep sorrow and immense joy, I have known Jesus more intimately than I originally thought possible. He met me here. He met me in the unexpected places of my story and He met me when the trials were too great and the night was too long. He invited me to sit at His feet, to know the better thing, relationship with Him. When my story was not what I expected He picked up each piece and held it tenderly and wrote His name on the pieces and on my heart. Jesus took my naïve optimism and forged a deep hope that grew in long hours and months and years of clinging only to Him. Jesus took my wild-eyed desire for adventure and showed me that the greatest adventure would be in allowing Him to peel back the layers of my heart, in searching the lines on His face, in truly knowing Him and being known by Him. He showed me that He wasn’t Jesus who desired my productivity, He was Jesus who desired me. All of me, poured out before Him. I don’t know what season of life you are in today, if you are like me, watching your babies grow in front of your eyes, marveling at all God has done that is so beyond what you could have dreamed up or imagined, or if you are like me ten years ago with absolutely no idea what God is going to do, baffled as He strips away all the “good” plans you have a replaces them with His. But I know this – He wants you. He wants your worship. He sees you reaching for Him when no one else is looking, when no one sees or recognizes your tireless serving, when there are no applause. You are beautiful to Him, here. His eyes are on you and He is pleased with who He made in you. Let’s find ourselves at His feet today. We may pour out tears or we may pour out praise or maybe a bit of both, and Jesus who cups our faces in His hands wants every bit. His arms stretched out to you are safe, His gaze toward you is loving and His deep desire is that you would know Him and be known by Him. Because God’s gifts are timely as always, my precious friend Sara just wrote the most beautiful book that intertwines her relationship with God and the story of Mary of Bethany in the Gospel of John. I’ve read it twice already because it is that sweet, and because Sara writes as one who has truly known Jesus up close and personal. I would highly recommend Unseen. I wanted to let you know that I preordered your new book and Unseen your friends. If her book is as amazing as your first book I can’t wait. Glad to hear your encouraging words. I love the Lord and plan to make heaven my home someday. Ten years! Isn’t it amazing how fast time spins away behind us? I’ve been reading you for I don’t even know how much of that time! When did you begin writing online? (I can’t remember). I love your first book, and am so looking forward to reading your new one! Thankyou so much for this! Also I got unseen after I saw your reccomendation and I am loving it! I’m so excited to share this opportunity with you guys! The Amazima School has been a dream of my heart for so long, and one of the most important things happening here is long-term, nurturing relationships on campus. We have openings for some new Family Mentors in Uganda -- couples who model biblical marriage, what it looks like to be a family, people passionate about teenagers and walking them closer to the Lord. We want to invite you to join us in this vision! 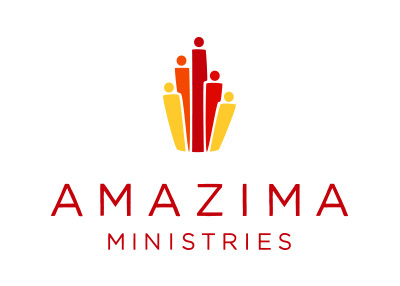 Click the link in my profile to learn more: https://amazima.org/what-we-do/theamazimaschool/#prospective-staff @amazima Edit: we have had a couple inquiries as to whether Ugandan couples can apply for this position and the answer is absolutely YES!!! Our goal is to have a campus filled with Godly Ugandan staff! Please, please apply!! !